Congratulations to the Junior Varsity Academic League for their win over McGuffey (12-6) at our first competition match on October 11. JV team members competing that day included: Evan Alrutz, Philip Baker, Sam Bedillion, Grant Bevier, Tyler Brezinski, Justin Cottrill, Destinee Davis, Isabel Descutner, Sydney Relihan, and Darian Ward. The first step of the Future City Competition will be completed by November 16 as the virtual city design is submitted for judging. 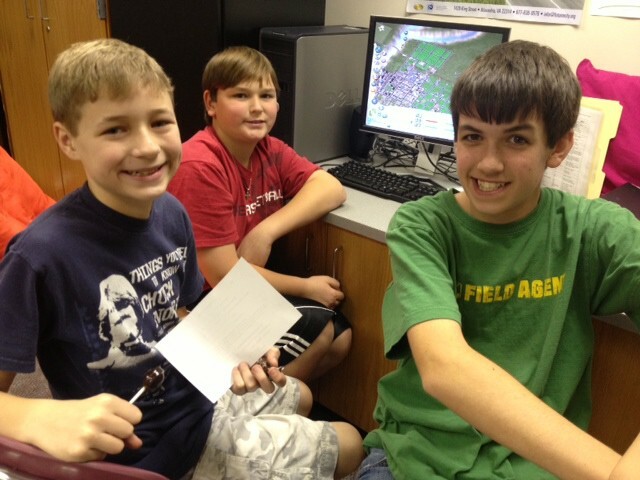 Jimmy Gilbert, Zach Brezinski and William Cowden take a break from working on the virtual city. 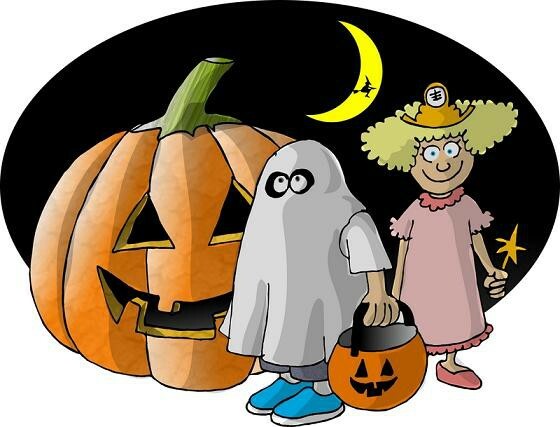 Wishing everyone a safe and enjoyable Halloween! 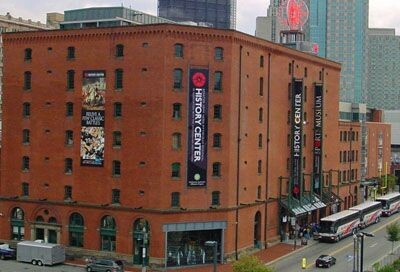 Eight STRIVE students in grades 6 - 8 competed at the History Bowl, Heinz History Center, on October 29. 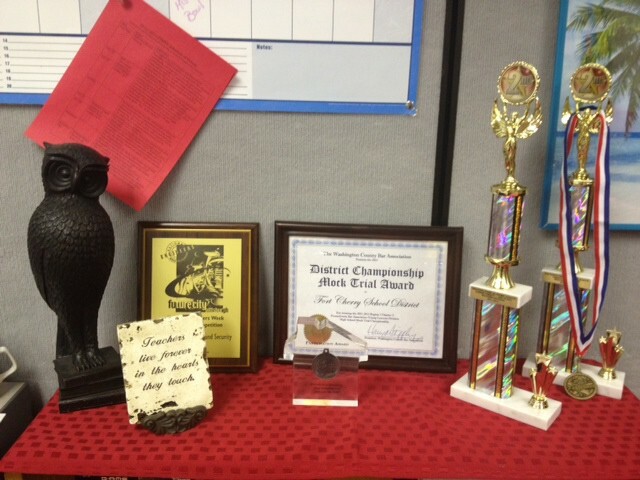 Although we did not win any awards, the students did a nice job! Future City Team members: Please bring your recycled materials in - the model build will begin soon! A fourth title will be finalized and available in December. The Mock Trial team had its first meeting with our new attorney coach, Mr. Bill Miller, on October 24. Several new students have been welcomed by the four returning team members. Case materials are to be released by the PA Bar Association on Nov. 2. 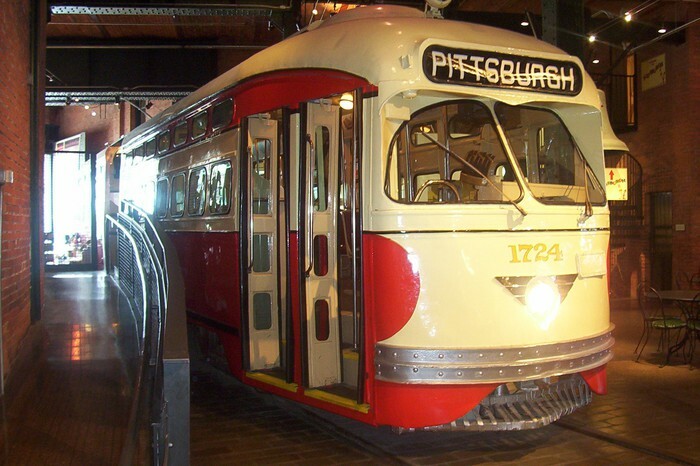 Weekly meetings will begin the following week in preparation for competitions in January (6th & 7th) at the University of Pittsburgh, and February, for the district competition at the Washington County Courthouse. 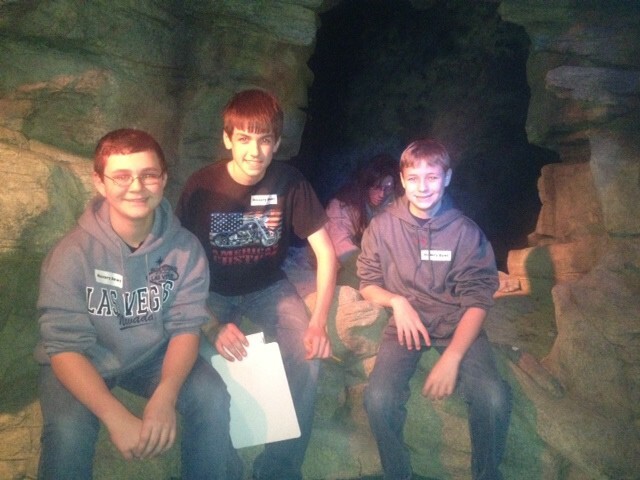 Cameron Schaub, William Cowden and Jimmy Gilbert check out an indian cave dwelling in the Pittsburgh History Exhibit. 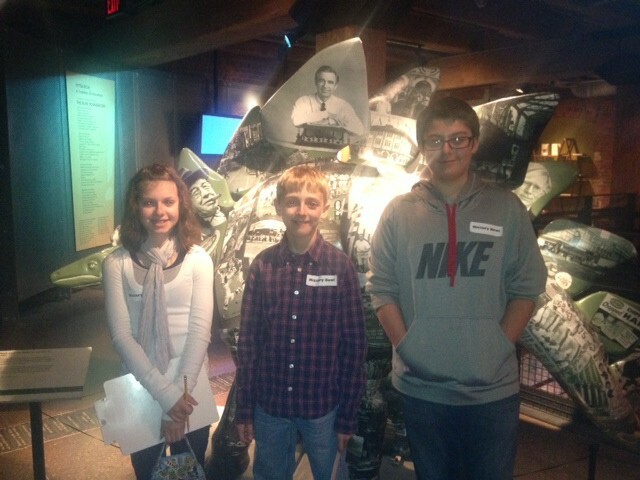 Emily Richard, Jacob Weiler and Nicolas Borovich pose in front of one of the many decorated dinosaurs at the museum.